In Digital Art, a new elective co-taught by Ms. Kagohara and Ms. Ülehman, students were guided through the artistic process this quarter, exploring the many layers of their personal identity to create a self-portrait series. Over the course of the project, students transformed their simple portrayals of hobbies or objects into deeply meaningful photographs that relate to their personal middle school experience. These inquiries required a sense of trust and willingness to risk looking below the surface at a time in their development when they are still defining who they are and who they want to be. This project was designed to help students identify, and explore the layers of their personal identity, in order to articulate how they contribute to their community and how the world impacts them. We aimed to delve into photography as a powerful art form and guide students to realize how critical and communicative we can be through digitally manipulated art. Kotoha Kudo "Inside my Walls" 2016 wrote in her artist statement "...I decided to show who I am on the inside. The person that lives inside me; serious, fragile, pressured, deaf of judgment, and valuing communication." 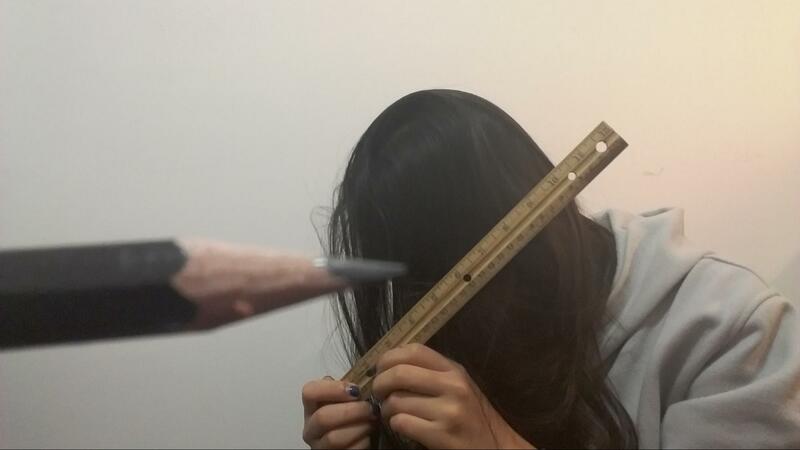 In this photo, she communicated a poignant message related to the pressure that she feels to "measure-up" and how that relates to her cultural identity. Students first analyzed and critiqued self-portraits by both photographers and other visual artists, ranging from Cindy Sherman to Basquiat, seeking to find the intent and power in creating an image of one's self. Students were asked to identify and describe different layers of their identity: personal, relational, and cultural/social. They had opportunities to discuss the positive ways labels can help us feel a sense of community or belonging, but how these can also can have a darker side. 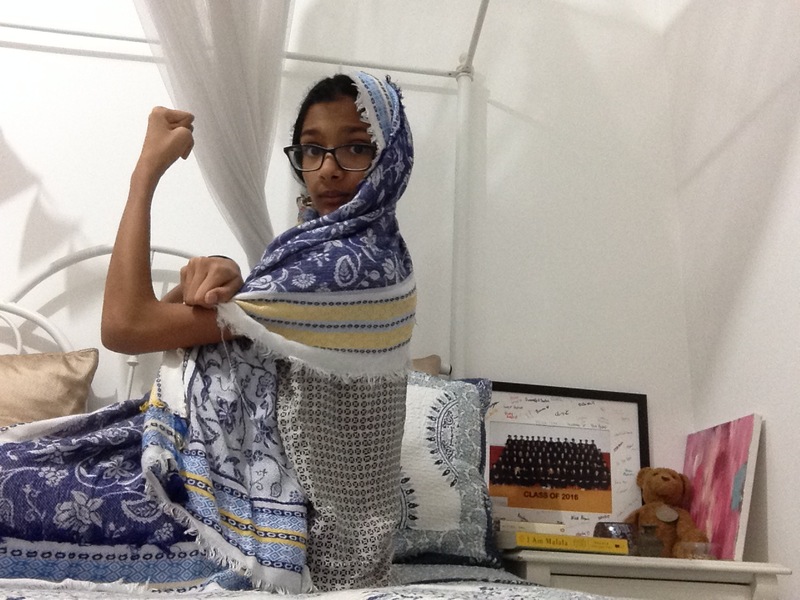 Aleena Nasruddin "We Can Do It, Too" 2016 explored themes of feminism and the labels that are placed upon women in the modern world. In her artist statement she wrote, "Even though I feel proud of who I am, sometimes I feel like I have to act a certain way or dress a certain way to fit in." In this photo, she alluded to the WWII icon, "Rosie the Riveter," as well as her Muslim background, stating, "Muslim women can do it, too." Students grappled with identifying "who they are" and sharing personal feelings and experiences in a class setting. However, the final project demonstrated that, for many of our students, the opportunity to share their vision of who they perceive themselves to be and to explore narratives of how others see them was powerful, enlightening, and in some instances, even cathartic. 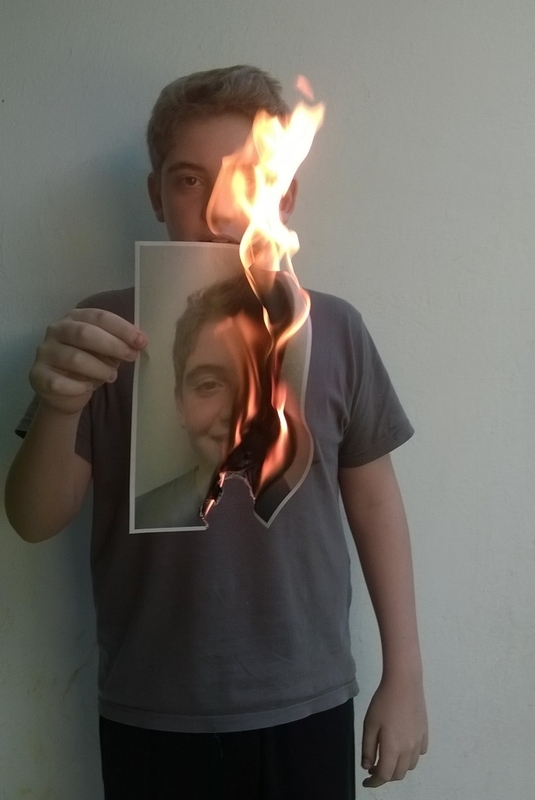 Thomas Alves "Burning Inside" 2016 demonstrated vulnerability and strength, as he explored the masks people wear to hide their inner feelings and the effect judging others can have. In his artist statement he wrote, "I want to show that when you talk about someone else, you can be burning him inside." At Graded, our arts teachers design projects that push students to engage in meaningful inquiry to produce thought-provoking art. We have a desire to empower and engage students in the art world and have a responsibility to mentor and support students in the process of self-expression. We chose to design Digital Art in a way that required students to be involved, to convey meaning, to express something, personal or not, to make an statement, to encourage them to work outside their comfort zone, to encourage them to see the world and express what they think of it rather than dictate what is right and wrong. This is what the Identity Project did. It involved delivering content through art, where the content is meaningful, the skills are solid and evaluated, and the outcome transforms both teacher and student.